"After faithfully representing the people of Eastern North Carolina in Congress and the state legislature for over 34 years, Congressman Walter B. Jones (NC-3) passed away this afternoon in Greenville, North Carolina. statement reads. "Congressman Jones was a man of the people. With a kind heart and the courage of his convictions, he dedicated his life to serving his Savior and to standing up for Americans who needed a voice," the statement from his office reads . "He was a champion for our men and women in uniform and their families, always mindful of their service and sacrifice." "Some may not have agreed with him, but all recognize that he did what he thought was right , "the statement reads. Chairman of the House Freedom Caucus Mark Meadows wrote on Twitter, "Deeply saddened by the passing of Walter Jones-a beloved colleague and friend who had a profound impact on all through his graciousness, character, and committed Christian faith. with and keep his family. We will miss him. " North Carolina Republican Rep. Mark Walker posted on Twitter, "Walter Jones was one of a kind, he served with conviction, humility, generosity and kindness. My condolences to Jo Anne and the Jones family." North Carolina Democrat Rep. G.K. Butterfield tweeted, "I'm deeply saddened by the passing of a long time leader, proud North Carolinian, a devoted family man of deep faith, and my friend of over forty years- Congressman Walter B. Jones, Jr."
"To serve alongside Walter Jones was a great honor and privilege, let us honor Walter Jones' service to our country and the profound leadership he offered eastern North Carolina. , "Butterfield writes. 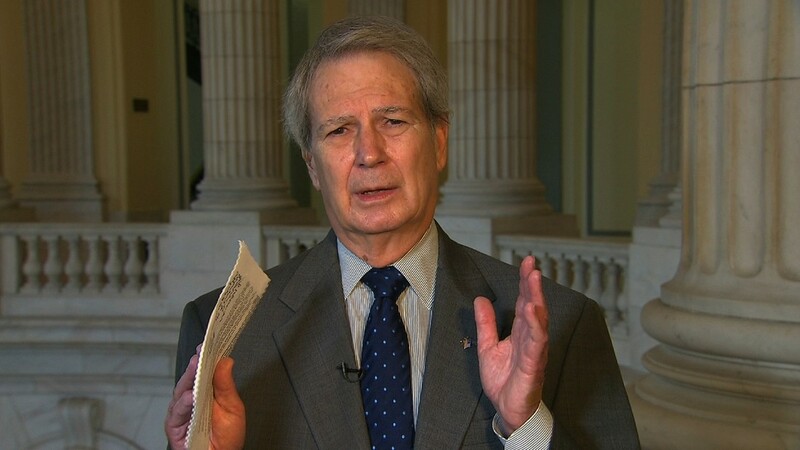 California Democrat Rep. John Garamendi posted on Twitter, "@RepWalterJones was a champion for our men and women in uniform, a bellwether for moral courage and leadership, and one of my closest friends in Congress." My heart is heavy to learn of his passing. I introduced a bill we developed together in his honor. " 1; an issue Walter was a leader on during his time in Congress, "Garamendi wrote. "Rest in piece to a great man, a great friend, and a true fighter for the people of North Carolina." California Democrat Rep. Eric Swalwell posted on Twitter, "RIP, Rep. Walter Jones He was a friend & one of my best partners across the aisle, I first met Walter when I was a Hill intern, not only was he kind enough to talk to me, he remembered my name, and checked in on me throughout that summer. His constituents were lucky to have him. " Rhode Island Democrat Rep. David Cicilline tweeted, "Walter Jones was a thoughtful, devoted legislator who always did what he felt was right.I was especially proud to work with him to push for bringing our troops home from Afghanistan." He will be deeply missed. " CNN's Katie Bernard contributed to this report.